Yesterday the United States Justice Department filed a lawsuit against the South Dakota Department of Social Services for their practice of racially screening prospective employees, validating an argument that the Lakota People’s Law Project has been making for the past decade — the DSS is a racially prejudiced institution that actively and systematically discriminates against Native Americans. 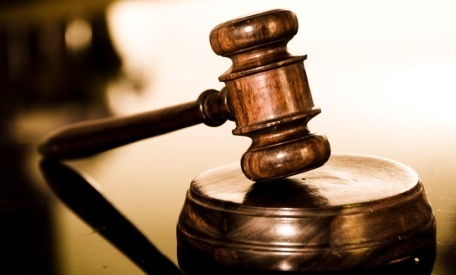 The case centers on Cedric Goodman, a 2010 applicant for an employment specialist position with the DSS at the Pine Ridge office. Goodman has a bachelor’s degree, and had begun working towards a master’s degree at the time of his interview. He also had worked for five years as a social worker, with three and a half in a supervisory position, and already had four years of experience work in this field as an employment specialist for a state run agency. He met all of the preferred qualifications set forth by the DSS. Goodman watched as the employment opportunity he had applied for vanished from the DSS website, and was stunned to see the position re-opened and filled the next day by a white candidate who had recently graduated college, and had quite limited experience, mostly in retail and office environments. The DOJ official complaint alleges that she was hired despite having, “no work experience that met the employer’s preferred qualifications.” This disparity clearly demonstrates that the DSS chose not to hire Goodman because of their prejudices, not problems with his education, experience or professionalism. “When employers discriminate against qualified job applicants because of what they look like or where they come from, they violate both the values that shape our nation and the laws that govern it,” said Principal Deputy Assistant Attorney General Vanita Gupta of the Civil Rights Division, who filed the case against the South Dakota DSS. The Lakota People’s Law Project is excited that the federal government has chosen to seek justice for victims of discrimination in South Dakota, but we are not surprised by the allegations. We began investigating the practices of the DSS in 2005, after a group of Lakota grandmothers claimed the agency was seizing Indian children from their families and placing them in non-Native settings in direct violation of the Indian Child Welfare Act of 1978. In subsequent years of investigation, LPLP confirmed these accusations, and proved that the DSS was in fact wrongfully removing hundreds of Indian children from their homes on an annual basis, and approximately 90 percent of these children were placed in non-tribal foster care or adoptive settings. We found that while Native American children constitute 13.5 percent of the child population in South Dakota, they comprise 54 percent of the youth foster care population. This forcible diaspora if Native children is not merely due to the the blatant discriminatory animus present in South Dakota’s state institutions, but is a result of the profitable nature of child removal. A 2011 report by National Public Radio asserted that the South Dakota Department of Social Services received about $65 million per year in federal money for Lakota foster care due to the categorization of all Native American children as special needs. The decision of South Dakota DSS officials to systematically violate the rights of Native families to receive increased federal funding is consistent with their actions to discriminate against prospective Native employees. Now they are finally facing justice. This latest lawsuit is the second of two major civil rights-related lawsuits to be brought against South Dakota, and involving the DSS, in 2015. The first was filed by the American Civil Liberties Union in federal court and was ruled in favor of the plaintiff in March. The court ruled that South Dakota Judge Jeff Davis and his associates, many of whom worked with the DSS, violated the rights of multiple Indian families by willfully and systematically ignoring the dictates of Indian Child Welfare Act. Furthermore, it rules the entire court system, including lawyers and other officials, routinely violated the 14th amendment of the Constitution. These two lawsuits claiming invidious discriminatory animus toward Native Americans by South Dakota comes amid other incidents, including a white man escaping prosecution after he dumped beer on and hurled racial epithets at young Lakota children at a hockey game in Rapid City. It comes amid questionable killings of Indians by police and revelations that Native Americans comprise disproportionate jail populations in South Dakota and throughout the nation’s prison system. Republican Representatives are attempting to undermine tribal sovereignty yet again, this time attempting to pass legislation that would render it more difficult for tribes to obtain recognized federal status. The Lakota People’s Law Project questions the motives for Bishop’s desire to strip the BIA’s power, asserting that terminating this power could undermine tribal sovereignty, attempt to blot out their individual cultures through assimilation and seize natural resources for the purpose of commercial development. 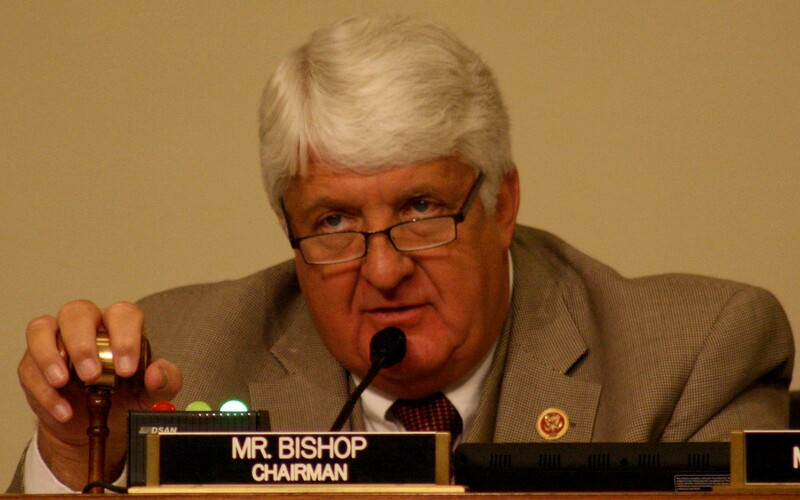 Bishop sits as chairman of the House Natural Resources Committee, which was recently criticized by the BIA’s assistant secretary Kevin Washburn. Washburn declared that the committee’s statements and questioning, “harkened back to the termination era” lasting from the 1940’s to the late 1960’s, where it was official federal policy to eliminate collective tribes by attempting to assimilate American Indians as individuals. If H.R 3764 is passed, petitions to recognize tribes will be reviewed exclusively by Bishop, and the Speaker of the House. Washburn’s criticisms are not without substance. Representative Don Young of the Natural Resources Committee released documents citing the General Allotment act of 1887 as “humane”, completely ignoring the reality of this covetous legislation, which sought to end collective tribal landholding, and more than halved the land controlled by the many tribes. This new assault on tribal sovereignty is an echo of earlier legislation meant to disenfranchise American Indians and remove tribal authority. SEC. 11. CLARIFICATION OF FEDERAL RECOGNITION AUTHORITY. This later portion of the bill also explicitly states that “The Secretary” of the BIA may not recognize tribes. This degrades the process of petitioning for Federal recognition to a point where the decisions regarding recognition are subject to more arbitrary criteria. First, if congress has the only say in tribal recognition, then its decisions cannot be subject to litigation. Unlike the BIA whose decision in recognizing a tribe must be a “yes” or “no”, Congressional decisions can hang, and remain ambiguous. Until a clear decision is made, which is not required by H.R 3764, tribes cannot file a lawsuit to appeal any decisions. Second, passing H.R 3764 as it is currently written could terminate the status of any tribe that has been recognized outside of a congressional decision. Washburn criticized this hidden problem with the bill during his testimony at the Natural Resources committee’s hearing on the bill on October 28th. He said that “[H.R 3764] could terminate the status of 229 tribes currently recognized in Alaska”. Citing a hearing in the Natural Resources committee on Sep 26th, where members of the committee disputed the legitimacy of tribes existing in Alaska. Finally, H.R 3764 would make tribal recognition into a politically motivated task that could harm tribal sovereignty,instead of the objective and nonpartisan process the BIA currently uses. Petitioning for tribal recognition with the BIA requires the bureau to review documents of lineage, and to amass other forms of evidence to establish the legitimacy of a tribe and its members. Congressional recognition can be started or stopped at the whim of a committee member, and be lobbied with stipulations that seriously harm tribal sovereignty. Any law that recognizes a tribe or tribal lands can be riddled with stipulations that restrict land usage or taxes that water down the potential sovereignty of tribes. Even with clear opposition from the United South and Eastern Tribes and the Ute Tribe of Utah, the bill is being supported by Republican representatives. Representative Don Young dismissed the complaints of the tribes and claimed they were influenced by “lobbyists”, ignoring the completely legitimate concerns of American Indian tribal leaders. Congress, along with presidential executive orders and federal administration acts have always been able to federally recognized tribes. However, the “Tribal recognition act of 2015” would make it so that all recognitions must explicitly be approved by Congress. This would severely slow down the process of petitioning for federal recognition of tribes by reversing the legitimacy of some tribes and requiring they be reaffirmed by Congress. Given the inefficient speeds that lawmakers operate with at the federal level, this could take decades. The normally arduous process of recognition will only become more difficult, and conservative members of congress may work to actively impede federal recognition for tribes. Representatives Rob Bishop and Don Young seem to not care about the best interests of the tribes. They propose legislation that will only hinder tribal affairs, and give their clearly anti-Native agenda power over any new tribal applications. Instead, American Indian tribes should be consulted to find a solution to making tribal recognition more efficient and equitable, without congressmen pretending to do so for political gains. H.R 3764 is masked as a step forward, but in reality reverts the issue of tribal sovereignty to a 19th century mindset.